I Have Been the Victim of a Crime in the U.S. What Now? Unfortunately, when immigrants come to settle in the U.S., they are very often the victims of crime, especially if they are undocumented, because they are seen as easy targets. If you have been the victim of a crime, particularly a violent crime, it can feel like seeing justice is hopeless, but there is an option by which you may be permitted to remain in the U.S. and assist law enforcement at the same time. The U visa is designed especially for victims of crime, though the criteria are strict, and there are other options you may wish to explore as well. There is a lack of hard data on immigrants as crime victims. Due to language problems and fear of retaliation or deportation, especially under this administration, some immigrant populations are slow to report crimes against them, and some studies do support this conclusion. However, it is not difficult to understand why immigrants might hesitate to report, especially those who belong to vulnerable groups, such as women or members of the LGBT community. Partly as a response to this reluctance, the U.S. government implemented the T and U visas, with the T visa being reserved for human trafficking victims and their families while U visas are for victims of crime in general. You are generally admissible to the United States (though you are able to apply for a waiver and then re-apply for the U visa if necessary). The other options that are available to crime victims in the U.S. (as opposed to having to leave and adjust status) are T visas and self-petitioning under the Violence Against Women Act (VAWA - despite its name, people of any gender are permitted to apply under its aegis). 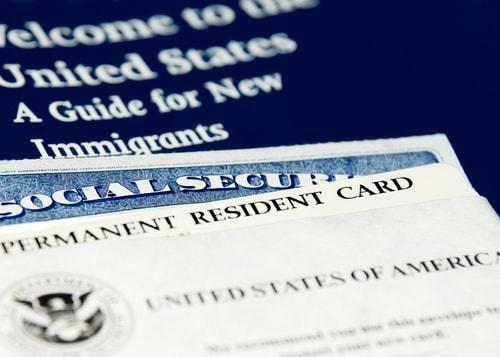 T visas are reserved for human trafficking victims, with similar criteria to U visas, though T visa applicants do not necessarily have to be admissible to the U.S. in order to apply. Rather, they must demonstrate that they would suffer “extreme hardship involving unusual and severe harm” if removed. VAWA, conversely, is more specifically aimed at those who have been in the U.S. for a period of time. 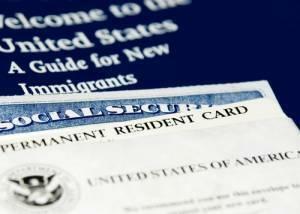 If you are the child, parent, or (current or former) spouse of a U.S. citizen or lawful permanent resident, and you can show that you have experienced domestic violence (“had a relationship” with and resided with the abuser, in terms of legalities), you may be eligible to self-petition for a green card, when most people require a U.S. citizen relative to petition for them. This is permissible because, in domestic violence situations, the U.S. citizen abuser may refuse to assist unless the abused victim submits to further mistreatment. Being the victim of a crime, especially at the hands of someone you know and love, is one of the most demoralizing positions that anyone can be in. If you have been victimized, you need a fighter on your side. The Chicago immigration lawyers at the Mevorah Law Offices, LLC will work hard to ensure that you have the best chance possible to stay here and help bring your abuser or victimizer to justice. Call our offices today for a free consultation.